We all do network marketing, we just don’t get paid for it. Every time we tell a friend about a great movie an incredible restaurant we are network marketing. There is no force on the planet more persuasive than a friend telling a friend. Do you believe the big budget advertising or a highly paid celebrity who may never use the product? Do you believe your friend who tells you from their own first-hand experience? 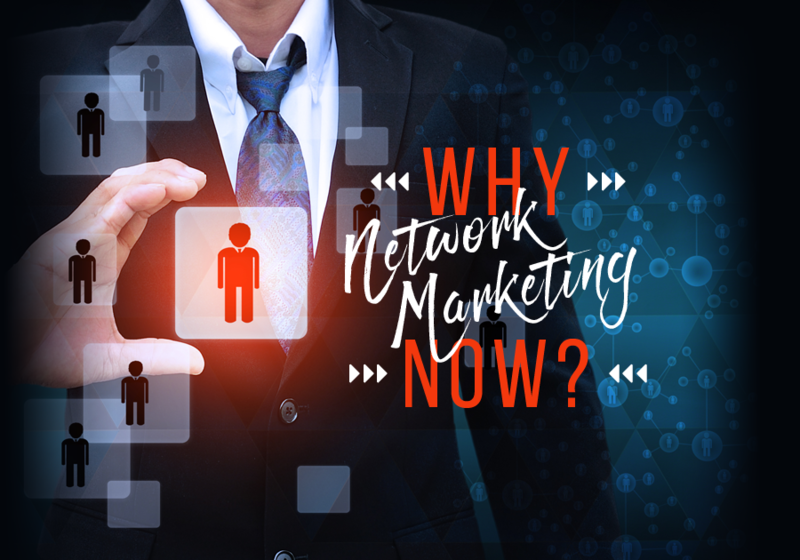 Network marketing is nothing more than another form of distribution. In traditional / retail distribution 50% of the product cost is advertising. In network marketing zero (0) is spent an advertising and those funds are paid to real people, with real results. You’ll find that network marketing products are higher quality that in traditional retail. Retail is all driven by price. When you compete on price the first thing that gets sacrificed is quality. Network marketing products are results driven. When results are key, quality comes first. 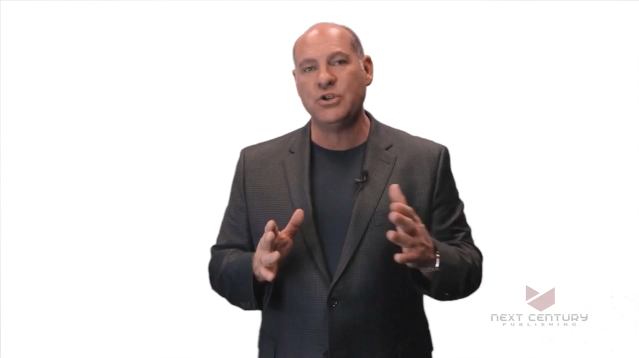 What does the most famous ride in American history have to do with network marketing? We all know about Paul Revere’s ride and his message, “the British are coming”. According to Malcolm Gladwell in The Tipping Point a piece of extraordinary news traveled a long distance in a very short time, mobilizing an entire region to arms”. Paul Revere’s ride is perhaps the most famous historical example of a word-of-mouth epidemic. A piece of extraordinary news traveled a long distance is a very short time, mobilizing an entire region to arms. It is safe to say that word-of-mouth is – even in this age of mass communications and multi-million dollar advertising campaigns – still the most important form of human communication. Think about the last restaurant you loved or the last movie you saw that you told someone else about and how your endorsement influenced them to see that movie or eat at the restaurant. The sheer overwhelm of being hit by advertisements from every direction has brought the market specialists back to word-of-mouth being the most effective. Nothing embraces the power of word-of-mouth quite like network marketing. There are plenty of advertising executives who think that precisely because of the sheer ubiquity of marketing efforts these days, word-of-mouth appeals have become the only kind of persuasion that most of us respond to anymore. (Direct Selling Association) A record 20.5 million people were involved in direct selling in the United States in 2016, a 1.5% increase from the previous year. These people are affiliated with direct selling companies, and are eligible to purchase products at a discount, and resell them at a profit. They are also eligible to sponsor others to do the same. 5.3 million are building independent businesses as direct sellers, meaning they are actively managing a customer base and possibly sponsoring others to do the same. 800,000 of these people are full-time and 4.5 million are part time. In addition, 15.2 million others receive a discount on products and services that they personally enjoy and use. Estimated direct retail sales of $35.54 billion in 2016 is the second most in direct selling history. We are participants in a $185 billion industry. According to the DSA the average company has distributor retention of 8% the first year and 5% in the second year. According to Business From Home the average Top Earner in Direct Selling is earning approximately $20,000 per month / $240,000 per year. This is based on 8,700+ rankings. Approximately 300 distributors are making $1+ million a year. I’m very grateful to have been in this category over the last 10 years. Number of People Involved in Direct Selling in the U.S. The size of the direct selling sales force increased 5.7% to 16.8 million in 2013, a record high. The industry experienced a surge of new direct selling independent representatives at the height of the recession. Due to normal attrition and the fact that some people join the industry for the short term, the slight reduction in force was expected in 2010 and 2011. The size of the industry’s sales force grew 5.7% in 2013 and is continuing to rise. I’ve been in this business for 30 years and I’ve met many, many sharp talented individuals who are very hard working but they are not seeing the level of success you would expect. The challenge in choosing a company is to separate the hype and the emotion from the critical facts. This method will lead you to a rock solid decision in choosing a company. 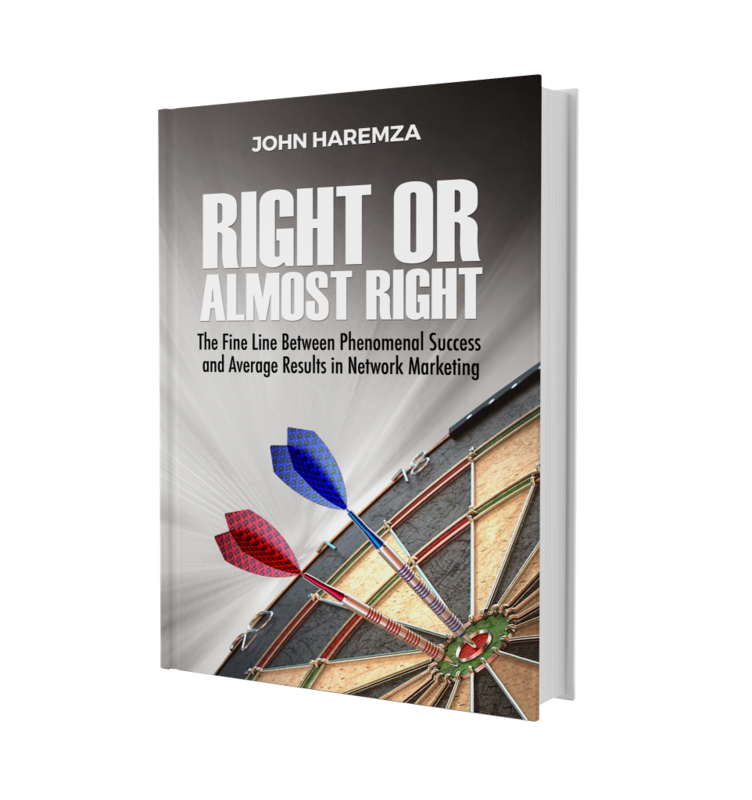 Right or Almost Right is based on John Haremza 30 years of success in Network Marketing. He addresses many of the basics of doing “the business”, from prospecting, to leading your organization, and points out what is “right” as compared to what is “almost right.” John helps you make these small adjustments which will make the difference between struggling and thriving. John has lived every example contained in his book. His story is amazing, from living in a trailer park to a well-known network marketing leader. His story can help you to make your dreams come true too! GET RIGHT OR ALMOST RIGHT NOW!